With fantastic white sand beaches, a tropical climate and top notch hotels, it is easy to see why holidays in Mexico are getting more and more popular every year. 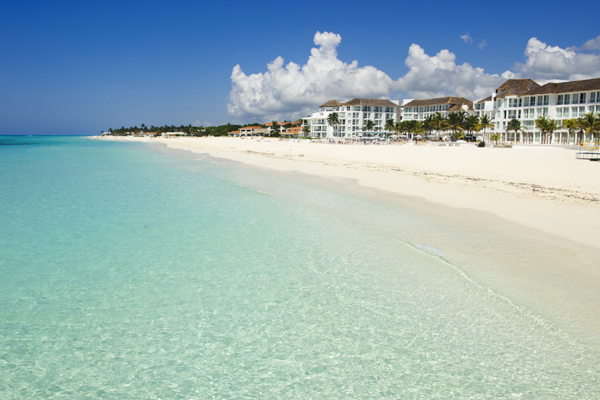 Cancun and the Riviera Maya resorts have something for everyone. 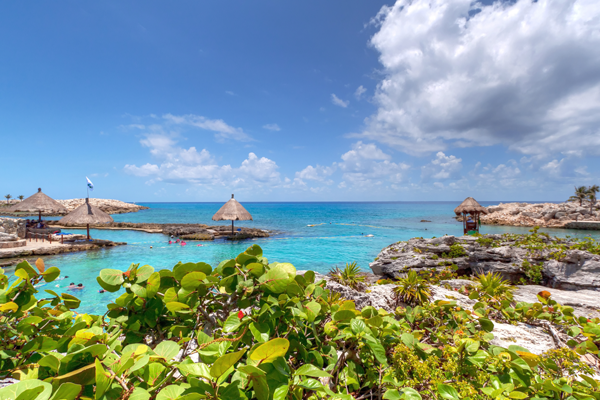 Mexico has been a popular destination with Americans and Canadians for many years and British holidaymaker’s numbers are rising year after year. And it is easy to see why, the resorts in Mexico are a beach lover's dream with miles of white sands giving way to sparkling turquoise seas. International hotel chains offer luxurious surroundings in Cancun and other resorts such as Playacar or Playa del Carmen. Hotels offer all inclusive with excellent facilities and activities, many have numerous swimming pools, bars and restaurants and offer entertainment during the evening. 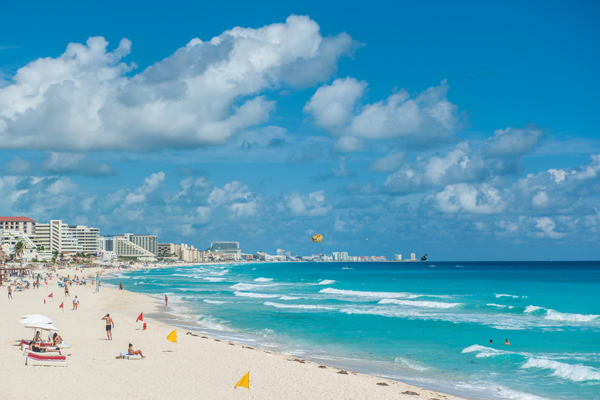 Cancun is a great family resort with a range of watersports on offer and a number of sheltered areas, bordered by a gorgeous lagoon on one side and the turquoise sea on the other. Cancun's shops have a strong American influence and at night its bars and restaurants burst into neon life. Cancun provides great shopping from American style malls with designer stores to wonderful traditional markets. Playacar is a more sophisticated resort, with higher standards of top notch hotels and providing a range of sporting opportunities including diving and golf. 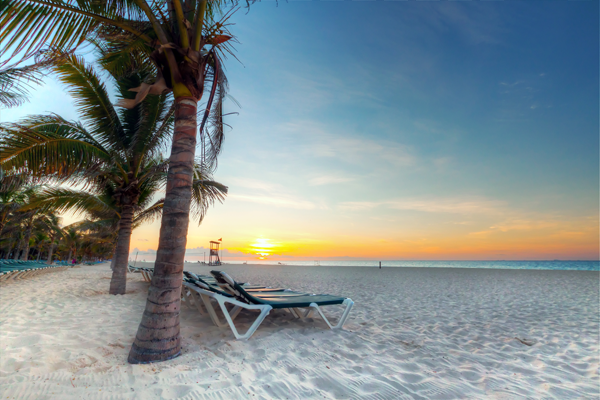 The Riviera Maya is dominated by the commercial resorts of Playa del Carmen and Puerto Aventuras, with great beaches and a majority of all inclusive hotels. Tulum is a beautiful up market area with Mayan ruins, drop dead gorgeous scenery, the world's second largest coral reef and fabulous restaurants. Scuba diving is a particularly popular in the Riviera Maya with Tulum boasting the world's second largest coral reef. Many trips are available to some great reefs and other dive sites on offer. There are many bars and restaurants throughout resorts in Mexico, and a good nightlife scene in downtown Cancun. Daytrips to Mayan ruins or on boat trips are a popular way to spend daytimes for those who prefer to be more active during their holiday in Mexico. Daytrips to Mayan ruins or on boat trips are a popular way to spend daytimes for those who prefer to be more active during their holiday in Mexico. Head for the Yucatan Peninsula, an area that provides a wealth of cultural treats, but particularly the magnificent Mayan ruins at Chichen Itza, Uxmal, Edzna and Tulum where you can discover all the secrets of this ancient civilisation. Another place well worth visiting is the 16th Century colonial city of Vallodolid, the picture postcard Mexican town of Campeche with its cobbled streets and pastel coloured houses, the white City of Merida with its limestone buildings or hop on a boat at Celestun and explore the lagoon. A tour of the Mayan ruins is a must and many tours can be organized at your hotel in resort or some can prebooked before travel. If its more of an adventure that you are looking for, why not try a jungle trek or speeding along the lagoon to the Caribbean sea in your own mini speedboat. Nature's Secret Paradise at Xcaret is an eco–archaeological park with a range of wild animals, including jaguars and sea turtles, all based around a natural coastal inlet. With a year round tropical climate holidays to Mexico are popular with families in the summer, attracted by the excellent facilities in the hotels, and are popular with couples, friends, singles and groups all year round. 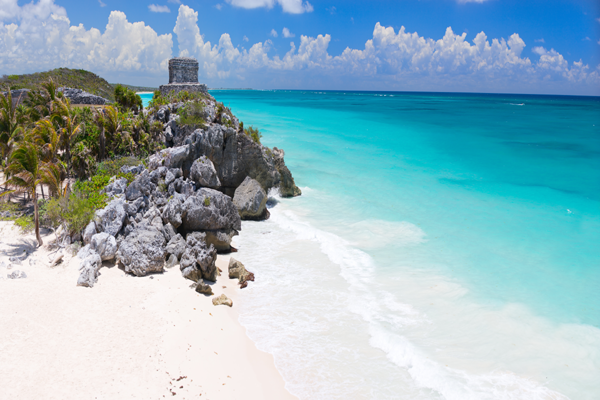 Flights to Mexico are available all year round from Birmingham, London Gatwick and Manchester, as well as Bristol, East Midlands, Glasgow and Newcastle during summer months. Call our Mexico Holiday Experts today on local rate 0161 360 0062!